Learn how to prepare for labor and delivery including comfort measures and so much more! REGISTER HERE or call Now: 856-795-0048 to reserve your spot! We’ll cover hormonal changes during pregnancy. When labor starts and when to go to the hospital. From Our Childbirth Educator, Abby Williams: Hi! I’m a local doula and childbirth educator here, in Cherry Hill. I have a passion for educating women about their incredible bodies and their ability to birth. Birth is such a unique experience and can be a transformative one. I was terrified about the idea of birth before I knew about it. Once I began learning about how pregnancy changes you and what happens when your baby is ready to be born, I was excited to give birth and no longer afraid. I believe educating before labor is empowering. 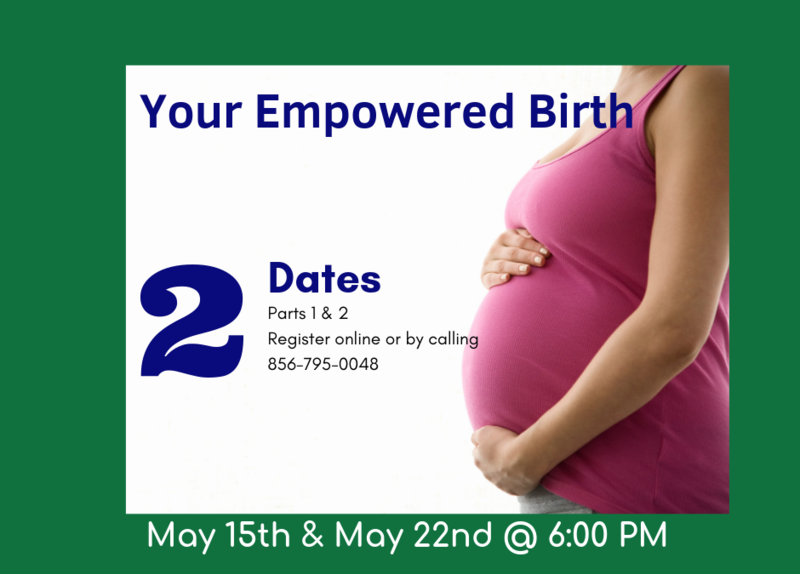 I would love to help you prepare for your empowered birth! What’s Your First Response to Your Unplanned Pregnancy?